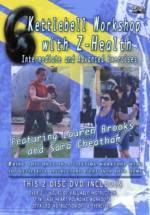 I want to give a shout out to this DVD, Having completed 3 of the 6 workouts, its AWESOME!! Even after doing BeSlam 2 times this simple rotation of moments are challenging with a little heavier bells or faster movement!! Amazing feel in after each one!!! Great job Lauren and Todd!!!! Love it and what a blessing this will be for many!!! Including my self!! 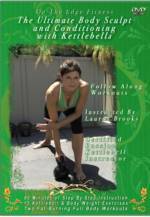 This DVD may be designed for beginners but even an advanced KB user will get a really challenging workout by upping the weights and/or repeating each workout. The timing and coaching are spot on and the quality of the DVD is amazing. I love all the coaching points throughout – these are the things you tend to forget when you’re working out on your own. I reckon this must be the next best thing to being in one of Lauren’s classes. After a fairly long and unavoidable break from training I had lost my motivation – not least because I was at a loss to know where to start again. Then this DVD arrived. Lauren – are you psychic?! This is tailor made for me. I made a start 2 days ago and already my motivation and energy levels have soared. To put it in a nutshell, as I posted on a Facebook group the morning of the first workout: “I got up; I shut up; I trained”! These workouts are great. I have talk myself into working out each morning by telling myself I only have to do 15 minutes- I can do anything for 15 minutes… but I always end up doing two of the workouts out of my own free will! No excuses! SHUT UP AND TRAIN people! I have to say that I think this is my favorite DVD of Lauren’s so far. And believe me, I loooved the others…. With these workouts, there’s NO reason NOT to do them. Stay light with the weights for beginners or for a conditioning day, or up your weights and really challenge yourself to keep Lauren’s pace. Combine this with Lauren’s FREE rotation plans and you have yourself an entire program! Confidentially, I actually stopped the program I was doing and started on the SUAT rotation because it is a much better fit for me. 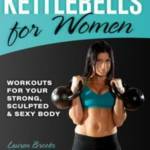 I look forward to the workouts, and feel like I’m actually working with Lauren. Great motivation!!! You can’t lose, get this today!!! I am 50, and work 30 hours a week, and at my age, and with my different ailments, its hard for me to workout at times. Some days it’s extremely hard for me to workout. 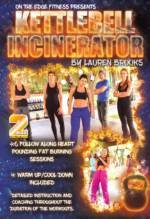 This DVD, gives me 4 different workouts to chose from , and all are only 15 minutes long.. Lauren gives wonderful instructions, excellent regressions. Lauren’s DVD’s are always excellent.. Good instructions every time. I will continue to buy her workouts always.